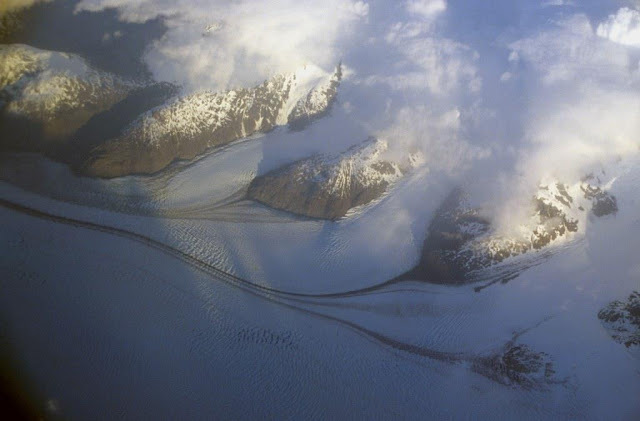 According to geologists and glaciologists, ice fields are the remains of much larger glaciated areas formed during the last Quaternary glaciations. They cover extensive rocky plateaus, lakes or mountain ranges, with glaciers and snowfields margins which flow through channels and fjords, to some lake or sea. 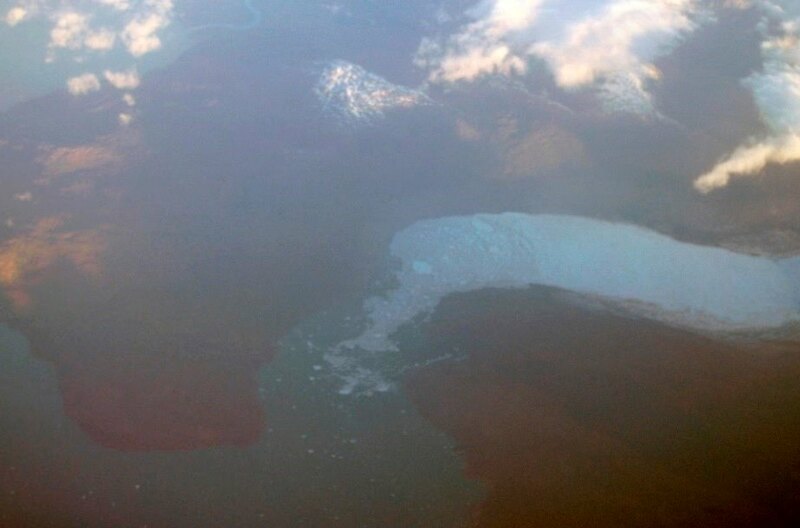 The Patagonian Ice Field, the third largest in the world after Antarctica and Greenland is located in the Patagonian Andes, on the border between Argentina and Chile, at a latitude within 47º and 51º, whilst in the northern hemisphere any other ice field is found over 60 ° of latitude. As a reference, Basel in Switzerland is at a 47º N latitude whilst Berlin is at 51º N latitude. 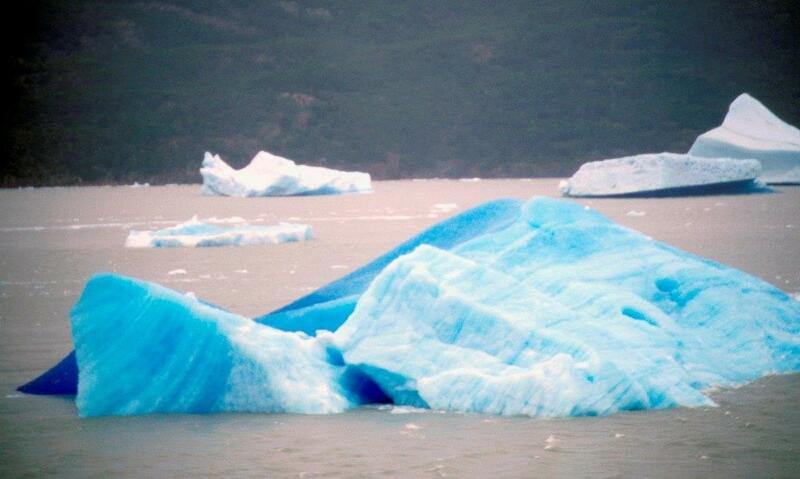 The daily strong Patagonian winds, moisture-laden after their voyage over the Pacific ocean cross the Patagonia in west-east direction during most of the year. 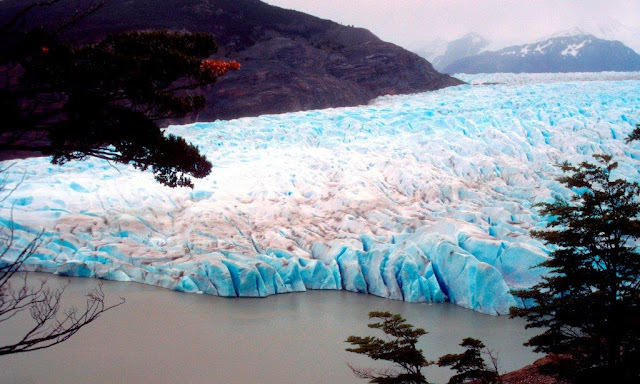 When having to climb over the Andes mountains obstacle in the “southern cone”, they unload their moisture through abundant snowfall, reaching 5,000 mm per year, and creating the conditions for the formation of glaciers. A total of 49 glaciers reach the sea level in the Chilean west fjords and the Argentinian lakes in the east, among which are the Upsala (902 km²), Viedma (978 km²) and Perito Moreno (258 km²) glaciers in Argentina and the Jorge Montt, Pius XI (the largest in the southern hemisphere outside Antarctica, with 1,265 square kilometers), O'Higgins, Bernardo, Tyndall and Grey in Chile. Much of their extension is protected as the Bernardo O'Higgins and Torres del Paine National Parks in Chile and Los Glaciares in Argentina. This is one of the lesser known areas in the Earth, and surprisingly, still today is a demanding goal of explorers and dreamers in search of new thrills and a real and direct contact with wild nature .